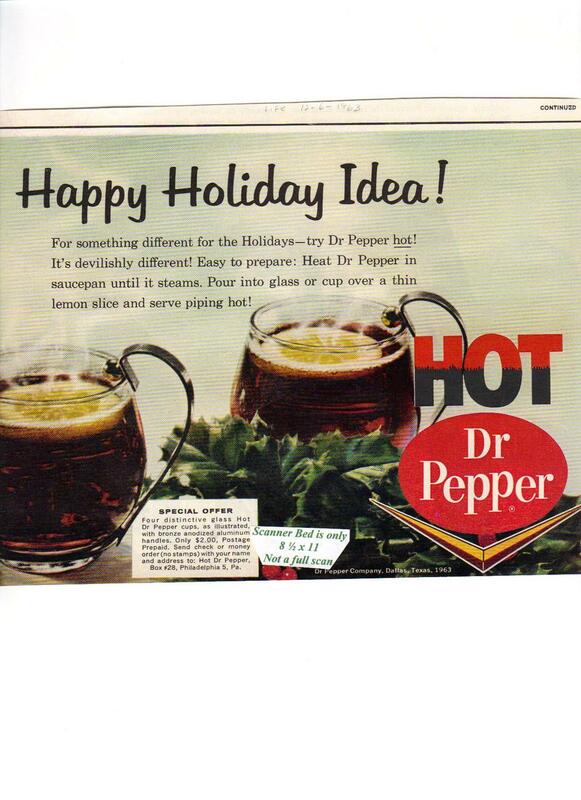 Home » timetraveler2 » Hot Dr Pepper original 1963 magazine print ad. Hot Dr Pepper original 1963 magazine print ad. We want you to be happy with your purchase! Should there be a problem, just email us and we will work with you to make it right. In the event of a return, item must arrive back to us in the same condition in which it was shipped. Once item is received, we will issue a refund of item price + original shipping. first class mail can be returned free of charge, just write return to sender on tube.